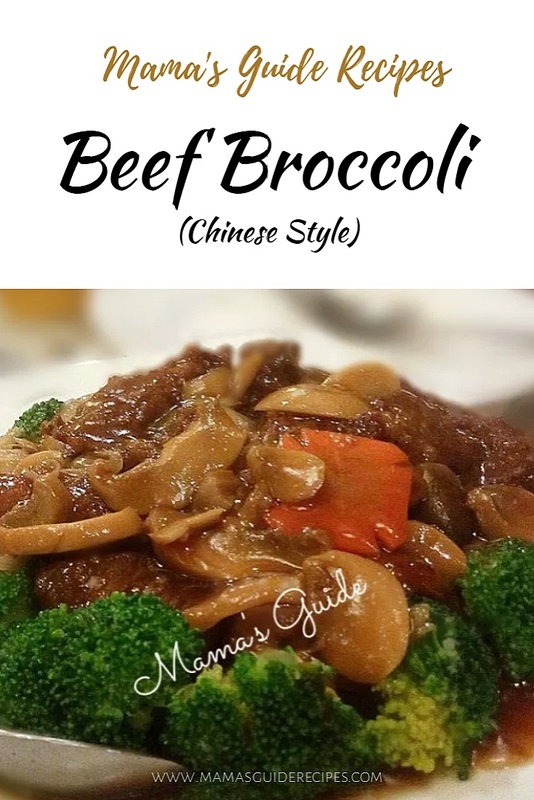 Beef Stir Fry with Broccoli in oyster sauce. This dish taste like the authentic local chinese restaurant recipe! It’s a classic recipe. If you tried this recipe, then please vote for it, so others will try it too. 1. Using a sharp knife, slice your flank steak thinly (across the grain). Grab a medium bowl, combine the beef with the soy sauce, cornstarch and black pepper. Let it marinate for 10 minutes or longer at room temperature. 2. In a small bowl, combine all ingredients for the Stir-Fry Sauce. 3. In a large pan, add 1 cup of water and bring to a boil. Add the broccoli and cover to steam for 3 minutes. The broccoli should be bright green, crisp tender and you should be able to pierce the stem with a fork. Drain. 4. Drain the water in the pan and dry it well. Set the pan over high heat, swirl in the cooking oil. Once your pan is hot, place the marinated beef carefully one by one. You can use tongs to spread the beef out all over the surface of the pan in one layer. Let it cook, undisturbed, for 2 minutes, until nicely browned. Turn over the beef to cook the other side. Push the beef aside and add in the garlic and ginger. Stir fry the garlic and ginger for 30 seconds or until cooked. Then sautee it with the beef. Add carrots slices and stir fry until cooked. 5. Add in the Stir-fry Sauce and stir well. Simmer until the sauce is becomes very thick that it coats the back of your spoon (about 15 seconds). Toss the cooked broccoli and mushroom slices back into the pan and stir to coat well.